Adaptability is an increasingly valuable attribute in conferencing environments, and V2 provides the solution: a system of modular meeting tables designed for fast and easy movement and reconfiguring - while still projecting a refined and sophisticated design aesthetic. 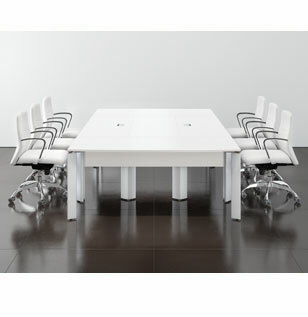 An extensive selection of top shapes and sizes, available in a wide range of plastic laminates and wood veneers, allow a multitude of configurations and stand-alone tables for meeting and training rooms. Comprehensive electrical/voice/data/AV interface options and wire management make V2 high-function, and casters can make it mobile. And a range of conference casegoods, visual boards and other ancillary components complete the offering. 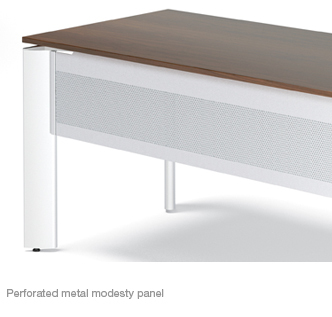 V2 media cabinets are designed to accomodate the latest in video conferencing and audio/visual technologoy. 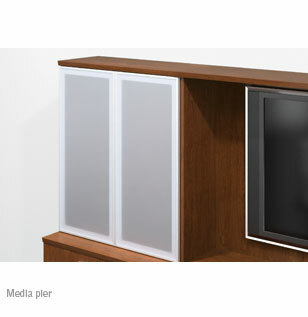 Flat screen TV monitors are accomodated in Media Hutches, Plasma Screen Lift Credenzas - or can be wall mounted. There are also Media Buffets, Media Piers, and Media Pedestals. 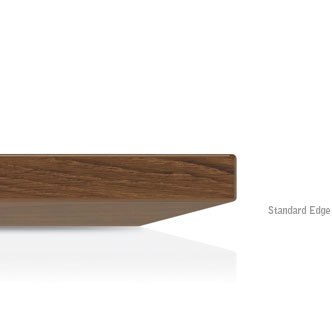 All of the new components in the V2 offering are of the same design as the existing Virtu Conferencing components, so that Virtu Conferencing components can be used with V2 products and are completely compatible.